In boxing there are very few real fairytale stories; those that have taken the hard road to the top and succeeded not just against the odds but against the clock as well. What makes the story of Lee Haskins even more intriguing is that his fairytale story is tinted with a hint of let down, as if there is still a whole chapter of his book to be written. The bantamweight from Bristol started his journey back in 2003 in his home town, a place he continued to forge a career as he fought there 11 times in his first 16 bouts and built up a strong following as well as picking up his first title, the English flyweight title in December 2004. It was 2006 when his first career defeat came about, a stoppage loss to the tough South African Tshifhiwa Munyai at York Hall in London. Munyai would himself go on to battle for world honours against Bury's Scott Quigg in 2014. Two fights later and Haskins suffered another loss to Ian Napa, once again at York Hall. What followed was then a remarkable run of results as Haskins defeated the currentWBA bantamweight title holder Jamie McDonnell then in his next fight beat Andy Bell on points to win the British super flyweight title in 2008. A commonwealth title would follow against fellow Brit Ross Burkinshaw and then a commitment to the bantamweight division where Haskins would capture European gold against another future world champion and Brit Stuart Hall, then became a two weight British champion as he replicated his super flyweight achievements in the bantamweight division in 2013. Many would have assumed by this point that with Haskins approaching the end of his 20's and with a handful of setbacks on his record that we perhaps knew the level he could achieve. But then in 2015 Haskins turned common sense on its head, picking up in Bristol the IBF interim bantamweight title again Ryosuke Iwasa of Japan in a stunning stoppage victory. That win showed everything that Haskins is about. Stylish, unorthodox, vulnerable at times but eye catching to go with it; Haskins showed what he could achieve when he had the platform. The title was only interim as the full holder, Randy Caballero, was on the shelf with a long term injury. The two were destined to meet to decide upon the full champion, but more about that later. 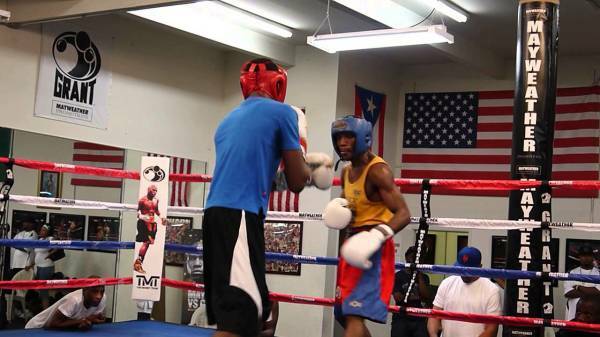 That win came in June 2015, eight months ago and the last time we saw Haskins in action. It is not for the want of trying. "I'm very well" Haskins tells me as we catch up on the phone. "I'm training hard and keeping fit, just waiting on a date. They're talking about April, it's hard work sometimes dealing with the people you have to work with" he says. It's a stark reality; you would assume that 12 years after turning professional and now being a world title holder after a 35 fight career, the path would become easier. Not so it turns out. "You would think that wouldn't you, that's why you work so hard to get the belt and think things will change around but this game is just a spiders web" Haskins says ruefully. Boxing politics are renowned for requiring hard work and perseverance. 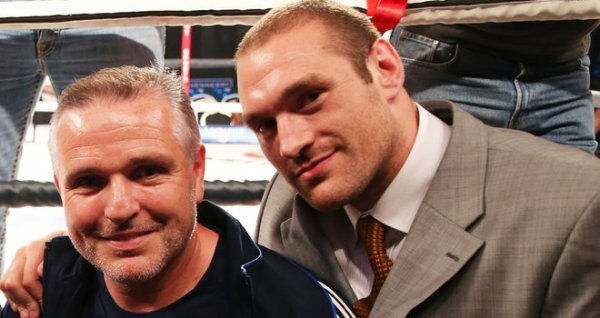 Even as world champion and with a decade of experience in the sport it appears that the business side of boxing can take its strain on those at the heart of the sport. For Haskins though, he has the right team around him to handle the situation "I leave pretty much everything to Jamie and Chris (Sanigar), I don't really get involved on the business side of it unless I need to. I want to get out there, I won the belt and now I want to get out there and fight for it!" Chris Sanigar is building an impressive stable out of the West Country. Alongside Haskins there is also fellow IBF featherweight world champion Lee Selby of Wales as well as a number of prospects that are making waves in the sport. With son Jamie as the promoter they have carved out the renaissance of Haskins, a purple patch that was all geared towards a culmination in November 2015 under the bright lights of Vegas as he got his chance to unify the full and interim IBF bantamweight titles against Randy Caballero. 'El Matador', the unbeaten American, picked up his title back in 2014 as he defeated former Haskins foe Stuart Hall in Monaco and was to make his return on the undercard of the superfight between Saul Alvarez and Miguel Cotto as he lined up to face Haskins. It was the biggest opportunity of the Bristolians life, a chance many will never experience as he was due to gain the exposure to a worldwide audience reaching into the millions. But the chance never happened. Caballero didn't make the weight. In fact he didn't just miss the weight, Caballero didn't try. The bantamweight champion on his return to the 118 lbs division turned up on the scales weighing 123 and a half lbs. That's five and a half over the weight limit. No attempt by Caballero was made to lose the additional weight and re-weigh later on, instead an acceptance that he had missed the limit and was to be stripped of the belt. What should have been a crowning moment for Haskins instead turned into a near farce. He had achieved every boxers dream of becoming a world champion, but instead of earning it in the ring he had been handed it on the scales. Looking back at the November situation how does he view it now? "It was crazy. I worked so hard and we were in Vegas on a massive stage and I believed that was my time to shine. He ruined it for us. We beat the number one opponent to win the interim title and I won it with ease. Caballero could have decided to go up to super bantamweight then and made our fight for the full title but he messed it up; we go over to Vegas and he still messes it up! He couldn't stop screwing it up to be fair. He just had another fight at super bantamweight and he missed the weight for that as well. I watched him and he looked absolutely poor in that fight and I thought if he looked like that the night I was meant to fight him that would have been an easy nights work for me." It is with anger, disappointment and frustration that Haskins talks of the American who couldn't make weight. "What an opportunity to be fighting in Vegas and then that happens. It's going to be hard to get that opportunity again, he took a lot away from me that night, me and my family" he tells me, understandably hardened by the situation. However with the disappointment out of the way Haskins is now recognised by the IBF as their world title holder and it is something that now he is looking to consolidate by winning his fights inside the ropes. Is there anyone in mind for the first defence of the belt? "Pretty much anyone. 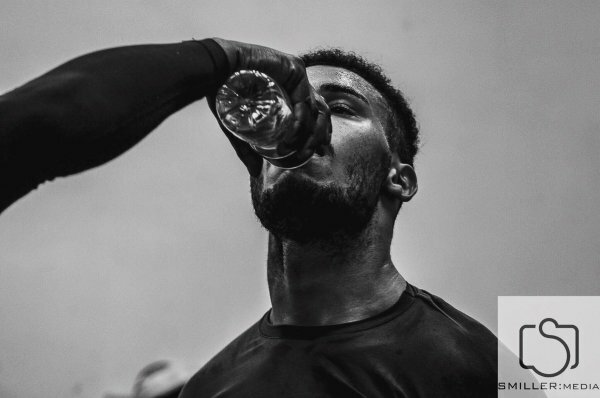 I'm fit and sharp, hungry to get back in there." Stuart Hall once held the title Haskins is now in possession of and fights an eliminator in April to get the chance to fight again for the belt. So will Haskins be cheering on the Doncaster fighter again Rodrigo Guerrero in the hope of a second fight with him? "Oh yeah. Definitely. That would be the icing on the cake if he were to win it then somewhere down the line get Jamie McDonnell after that." 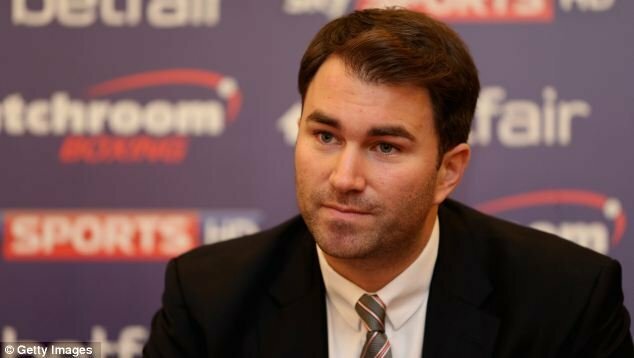 I ask Haskins if he would consider Haskins as a voluntary defence down the line if he wasn't successful next month. "Later this year I would have to do a mandatory and get that out the way but I would still want to box him." For his part, McDonnell has spoken about the possibility of making his own domestic superfights, but not in the bantamweight division. Instead he has eyed up the potential of moving up a weight class to potentially fight the winner of the upcoming super bantamweight fight between Scott Quigg and Carl Frampton. So if his old adversary took a move out of the bantamweight division, is that something that Haskins would also consider? "Oh yeah. All due respect to Scott Quigg and I think he will put up a good fight but I just don't think he can win against Frampton. I would take on the winner of those two in a heartbeat." It was a far more assertive response than I was expecting. I ask Haskins if he would make the all too common demands for a catchweight to even the odds or is he happy to make the full step up in weight? "I would do it whatever weight they wanted to do it. Especially Frampton, I would love that fight. He's a big name and I think I could make a big upset there. I'm not just saying this but when I'm at my best and on form I'm a great fighter. I've dedicated myself and I'm ready for anybody." It is a statement of intent from the Bristol boxer. No diva like demands, no catchweight clauses; he wants to fight the best around his weight and he wants to make the big fights. With so many of his fights having taken place in Bristol over the years, does he foresee that he would be defending his world title in his hometown too? "People ask if I would like to be defending on an Anthony Joshua show or something like that. Don't get me wrong, that's all good and well but I'd rather be fighting in Bristol and topping the bill even if it is a smaller show. I don't want to be a worldwide name, I would love to be a big name in Bristol. I want to be top of my own bills and all world champions should be." It is a fresh response from a fighter, someone who wants to be recognised for their achievements and also give back the chance to those who have followed him from the beginning to support him now he has reached the summit. Haskins is a down to earth world champion, happy out of the limelight and instead concentrating on his boxing. So does he get recognised more now around Bristol than he has in the past? "Yeah, we get a lot of fans down here and a lot of people that support me. Everyone is really helpful and support me even when I've gone through bad times in my career which is really amazing. That's why I like putting on shows in Bristol even if they are smaller because I think the people deserve that." It is his homeliness and grounded approach to the sport and to life that helps make Haskins so likeable. He has had his challenges in the past, times when writers would have foreseen a ceiling to what he could achieved. He has overcome them, pushed the roof higher than many could have imagined. Can he see himself one day getting back to Vegas for the big fight he missed out on? "It would be amazing on a massive bill, I don't mind being on an undercard over there that's for sure! It would be a massive opportunity for me" he says. Haskins deserves that. He deserves the opportunity that was denied to him by the unprofessionalism of Randy Caballero. That opportunity may never present itself again for Haskins and that would be criminally unfair. However you get the impression that there is still so much more to write in the book of his achievements. His ambitions to take the other domestic world champions in and around his weight division, openly calling them out, makes him a different fighter to most. He doesn't shirk opportunities of challenges. 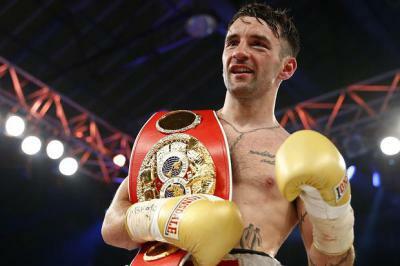 Lee Haskins' biggest days may yet be to come.